Westport, CT Saugatuck Commercial (SCRE) finished another strong year in 2017 in its core business areas of retail and office landlord and tenant representations and investment sales. There were multiple noteworthy sales transactions for the year. 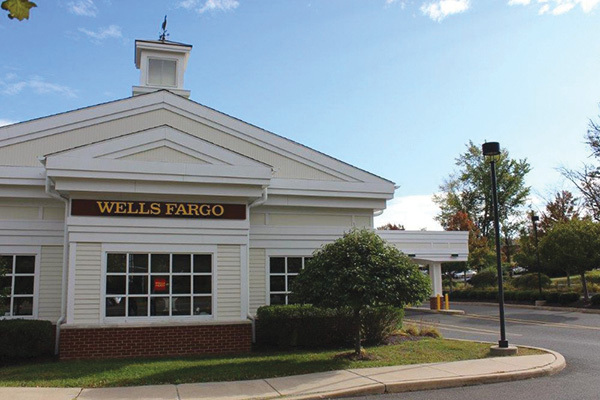 As Wells Fargo’s exclusive CT representative for property sales, leasing and renewals, SCRE brokered the sale of two of their former branches in Greenwich and Hamden while assisting in the renewal of existing leases in Newtown and downtown Fairfield. SCRE will continue to oversee the sale of additional bank branches and negotiation for new sites and branch renewals. SCRE exclusively represented Atlanta-based Formation Development Group LLC (FDG) in the purchase of 55 Old Quarry Rd., Ridgefield, which FDG plans to develop into a 78,000 s/f three-story, assisted-living and memory care facility. SCRE is continuing to assist FDG in identifying additional investment properties in CT for the development of assisted and independent living and memory care facilities. Within the landlord portfolio, SCRE welcomed the following new clients and their properties: Seritage Growth Properties (N.Y.), Lennar Multifamily (Jacksonville), WAFRA Investment Advisory Group (N.Y.), Belpointe (Greenwich), Carmel Partners (San Francisco) and ACM Realty (Westport). Responsible for all retail leasing at Abbey Road Advisors/Skala Construction’s The Trademark (665 Commerce Dr., Fairfield), SCRE secured the new restaurant concept, Barbacoa Smoke House for the signature corner location in this transit oriented, luxury, mixed-use development at the new Metro North Train Station in Fairfield. Abbey Road is expected to begin construction in 2019 of Phase 2 of this 3 phase development. At Regency Centers’ Compo Acres in Westport, SCRE negotiated a lease extension and expansion with Winged Monkey, while adding two new retailers, Le Boudoir Beauty Bar and [solidcore]. Representing the landlord, SCRE was instrumental in retaining Villa del Sol, one of Westport’s favorite Mexican restaurants within town by relocating them at Westport Commons where they will operate a larger space with expanded seasonal outdoor dining. SCRE is proud of the geographic and concept breadth of its retail tenant representations and in 2017 added to its roster exclusive franchise engagements for Pokeworks (fast casual), LYMBR (fitness) and Modern Acupuncture (medical) and, within the corporate space, Kilwins Chocolates and Aubuchon Hardware. SCRE secured leases on behalf of its existing franchise relationships in 2017: Vein Clinics of America in Waterford and Southbury; Pure Barre in Bronxville N.Y., Jersey Mike’s in Glastonbury, Robeks in Shelton; UBreakIFix in Westport. Continuing to serve its long-term corporate retail relationships, SCRE was an integral part of three new Cumberland Farms locations in Monroe, New Milford and Danbury, with an additional three locations in active negotiations. In addition to the above, SCRE completed over 30 office and retail leases throughout New England and New York State including in the education space, the innovative Flex School in New Haven and a new Huntington Learning Center in Darien; expansion of two unique retail concepts, the New York-based Patisserie Salzburg to Harbor Point, Stamford and Fred’s of Greenwich into Westport; and in the rapidly expanding healthcare area, new locations for Able Home Health, Healthcare Subrogation and Complete Care. SCRE principal broker, Penny Wickey commented that the uncertainty facing the retail sector remains challenging. Importantly, challenges bring opportunities. SCRE’s continued success is tribute to its team of smart, service-driven, creative problem-solvers and a constantly evolving list of tenants, landlords, developers and investors.